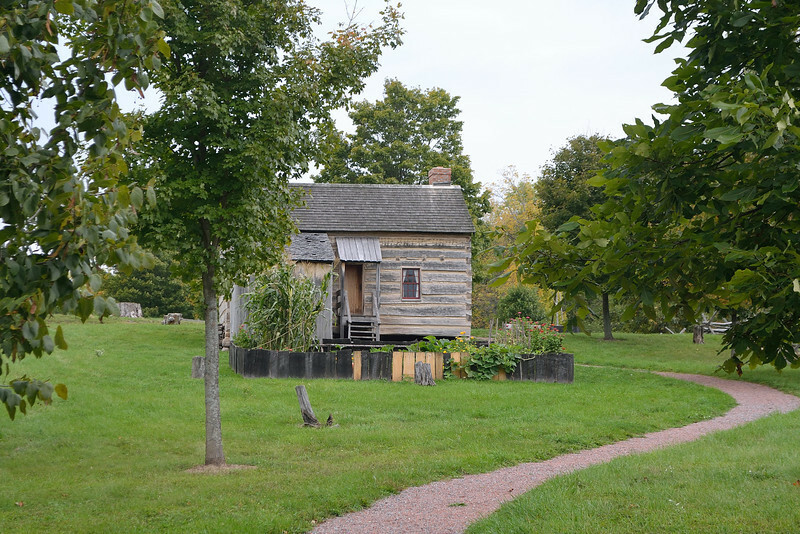 The replicated Smith family cabin from just up from the entrance to the Sacred Grove. this cabin was built on the original foundation stones and was built by hand, including cutting the wood and shaping the logs using period tools of the day. It was built by a member of the Columbia South Carolina Stake while he was serving a mission at the site. in the 1990s.